Sotheby’s New York features a Ref. 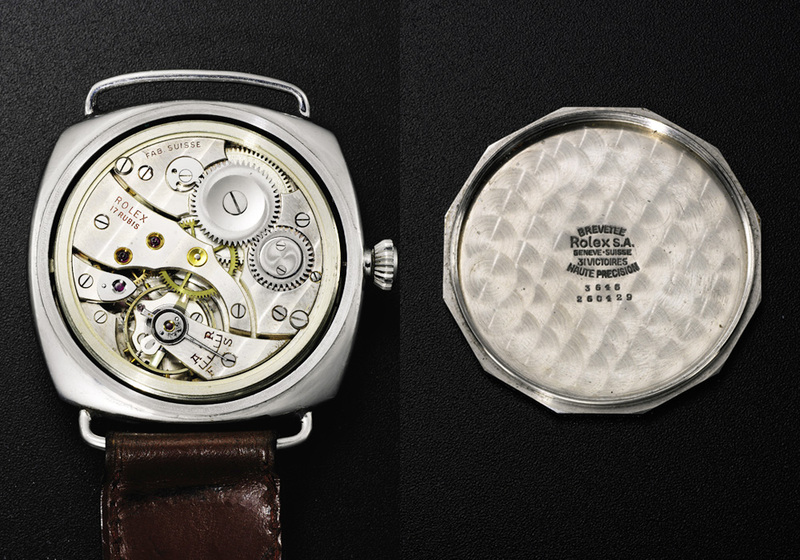 3646 / Type E in their Important Watches auction on June 8th, in New York (Lot 166). 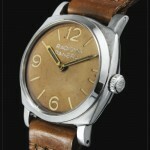 The watch has been added into our database back in 2007 with painted brass dial, Rolex 618 / Type 1 mod. 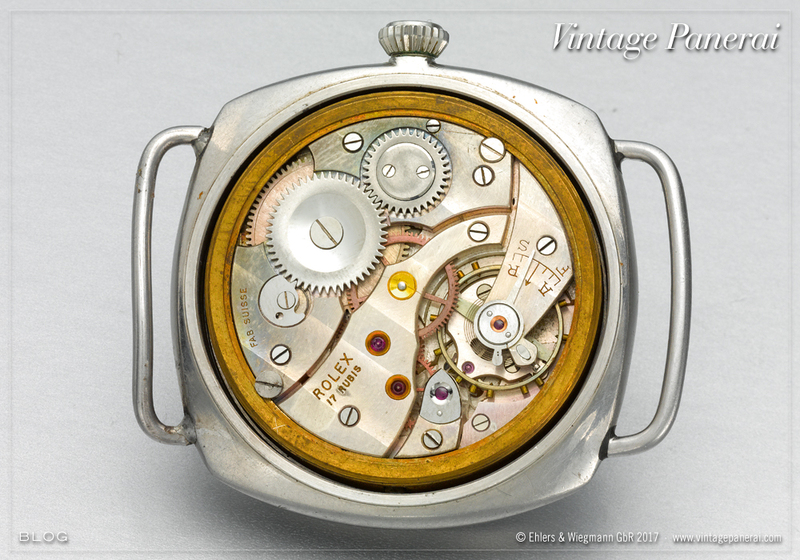 movement and caseback without Rolex SA hallmark – features of a Ref. 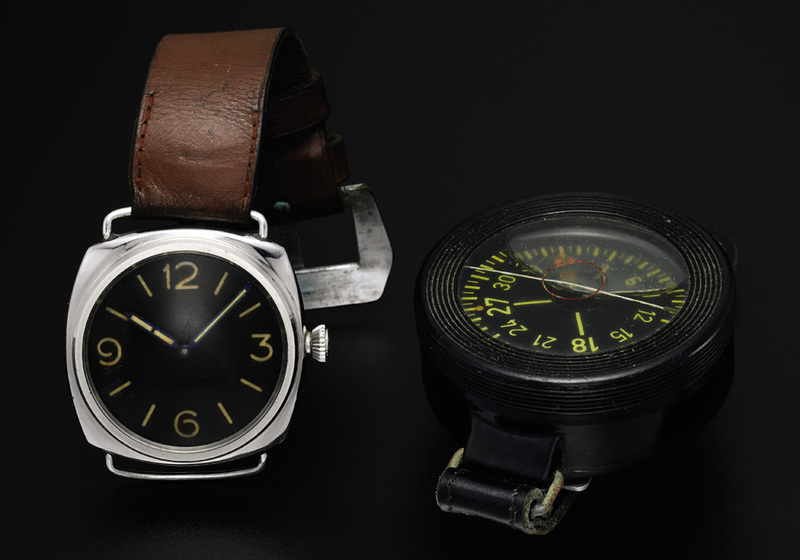 3646 / Type E watch. 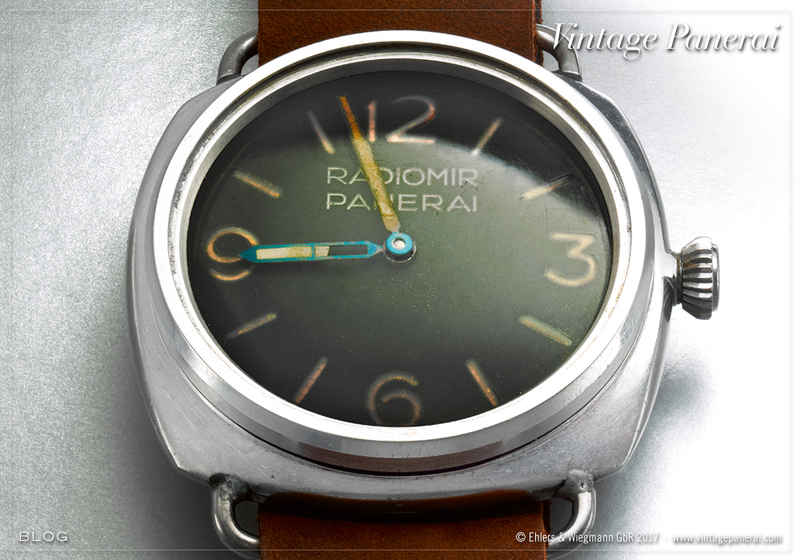 In its actual condition, the watch is equipped with a re-manufatured dial (a sandwich construction of two brass discs and transparent plastic disc in the middle) with “Radiomir Panerai” lettering, made during restoration at the Officine Panerai customer service, dated March 2016. 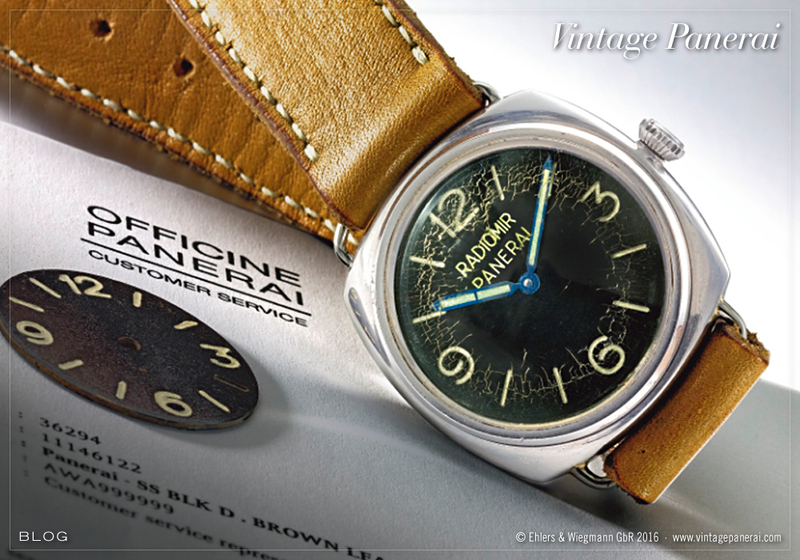 The present 3646 recently underwent restoration at Officine Panerai, which included a re-manufactured dial with Superluminova and a complete service with extreme care made to retain original components and finishes, including remarkably retaining its original crystal. The watch is mentioned together with other known Ref. 3646 watches with brass dials in our book “The References” in chapter II.IV on page 471 and in chapter II.V on page 565. Further information on painted brass dials in combination with the flat version of the bezel can be found in the chapter II.IV on page 472-479. Sotheby’s London features a Ref. 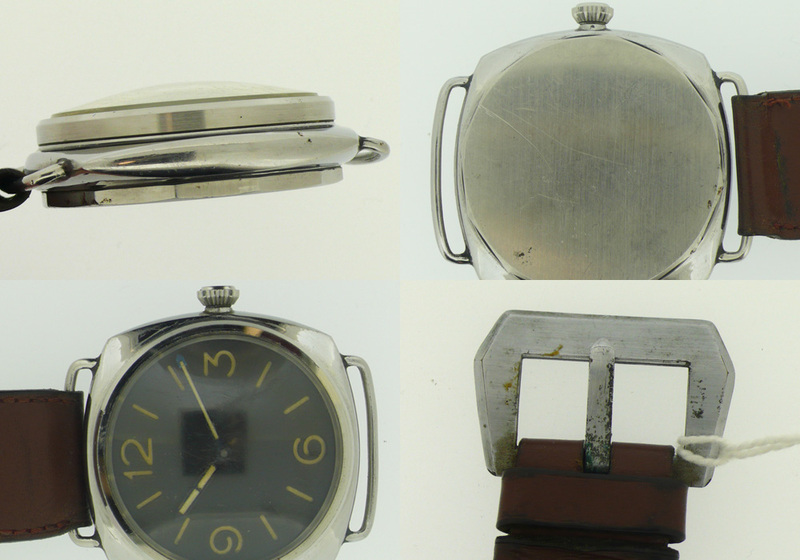 6152/1 with 8 mm Rolex crown in their Watches auction on March 8th (Lot 139). 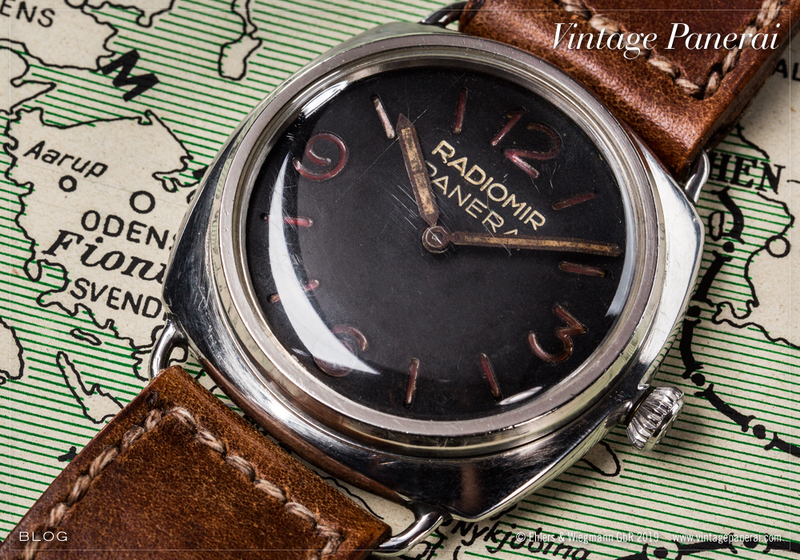 The 6152/1 with its brown aged “Radiomir Panerai” dial is recorded in our database since 2013 together with additional information dating back to the year 1992. 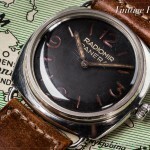 Back then the faded brown color of the dial and the dark faded luminous material in the “Double Pencil – Sharp Pin” hands were already visible. 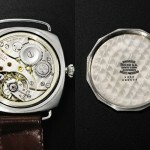 The watch features a typical Rolex 618 / Type 4 movement (Type 4 = 17 Rubis and Incabloc shock protection). 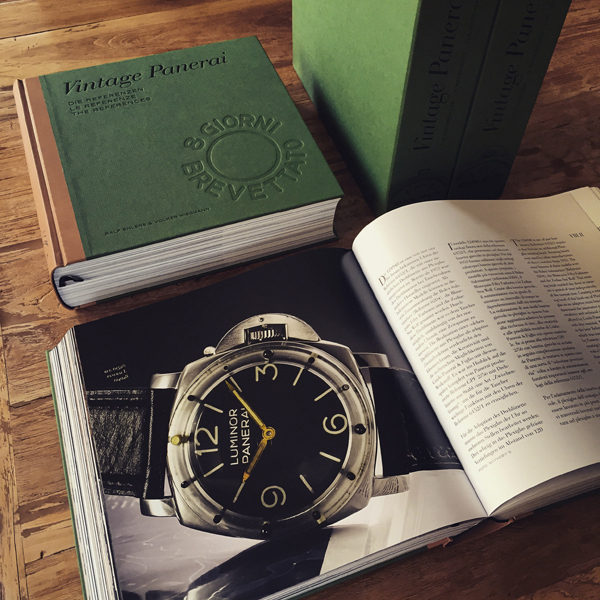 Watches of the Reference 6152/1 with 8 mm Rolex crown are featured in our new “The References” 1950’s-1960’s in chapter VIII.I (page 878-921). Another auction highlight in may will be a Ref. 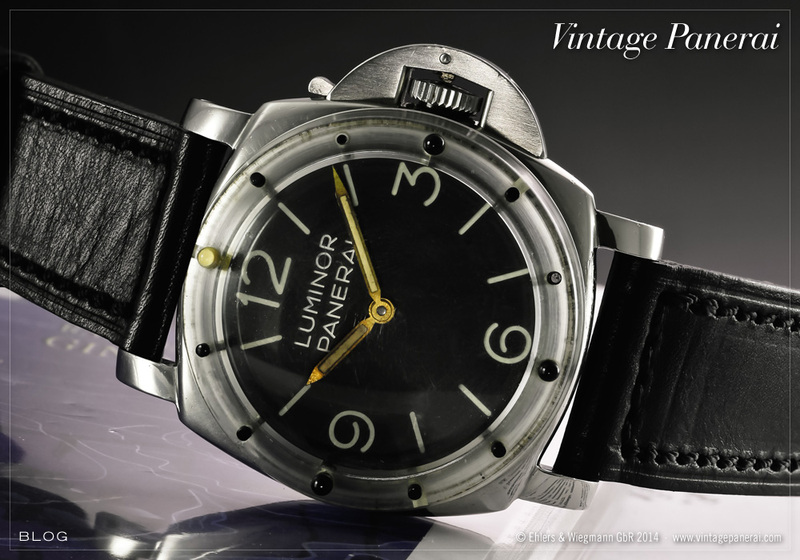 6152/1 “Luminor Panerai” watch: Sotheby’s Important Watches in Geneva presents the watch of a famous owner on may 14th, 2014 (LOT 298). 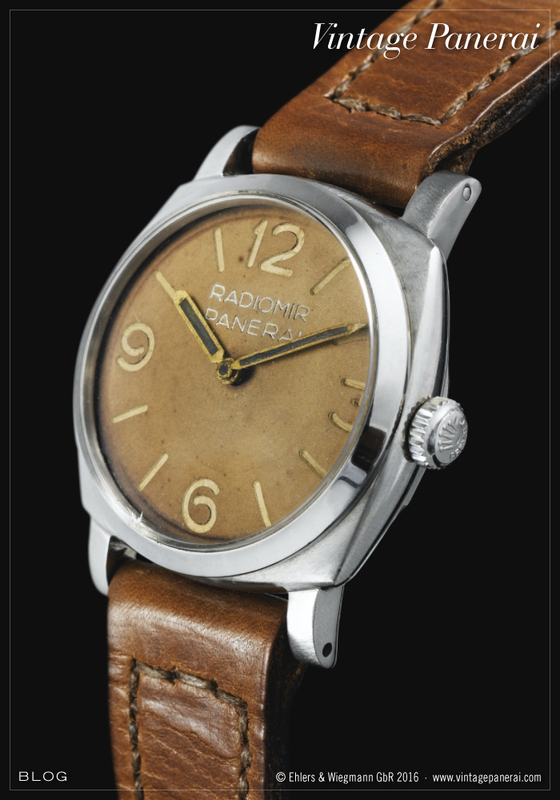 The watch comes from the descendants of Admiral Gino Birindelli (1911 – 2008). It is one of very few existing Ref. 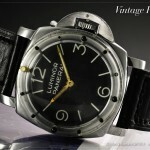 6152/1 watches with rotating plexi bezel. 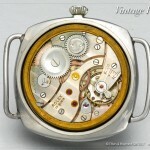 The movement of the watch is corresponding with our database, being a typical Rolex Cal. 618 / Type 4 version with incabloc shock protection and 17 jewels. 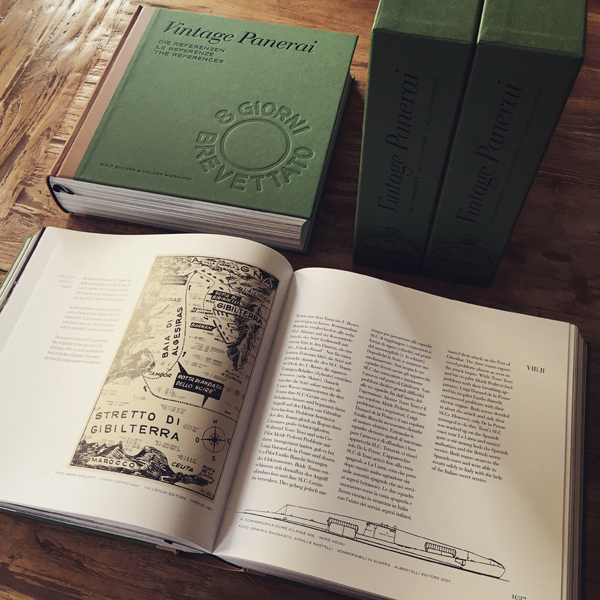 During the 2nd world war, Gino Birindelli was a pilot in the early SLC missions G.A.1 (August 1940 against Alexandra, transported by the submarine Iride), B.G.1 and B.G.2 (October 1940) in which he and his well known comrads (Damos Paccagnini, Teseo Tesei, Luigi Durant De La Penne, Alcide Pedretti, Emilio Bianchi / Gastone Bertozzi, Giuseppe Viglioli) were transported by the submarine Scirè under the command of Junio Valerio Borghese against targets in the harbour of Gibraltar. Birindelli and his co-pilot Paccagnini were captured and became POW. After his release from POW he was awarded with the gold medal for galantry at war (M.O.V.M.) in 1943 for his achievement during the mission B.G.2 in Gibraltar, 1940. 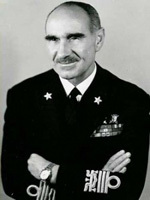 After the 2nd world war, Birindelli was commander of the Com.Sub.In. (Comando Subacquei ed Incursori) special forces in Varignano near La Spezia from 1948 to 1950 and from 1954 to 1956. 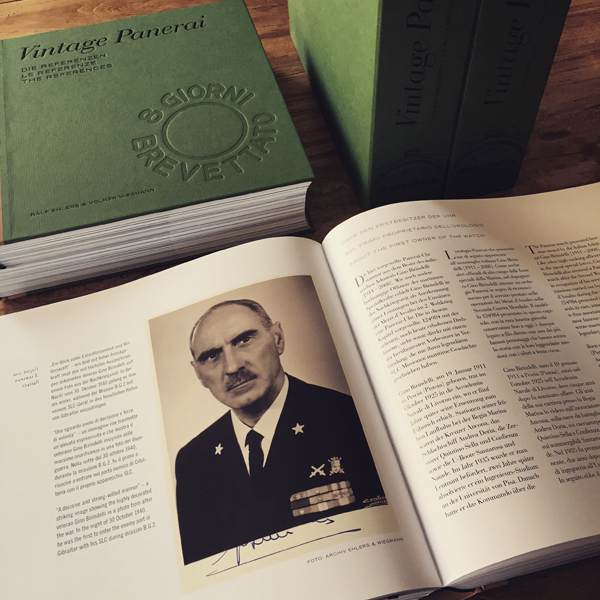 Later he became commander of NATO forces of the Mediterranean in the early 1970s, followed by a political career in the italian parliament. We recently received a few more photos of the Ref. 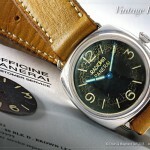 3646 / Type D “Kampfschwimmer” watch, which will be auctioned next week in Geneva. 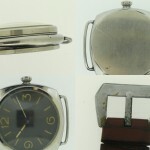 In Addition to the previously published info on this watch, we can see on these photos interesting details: the “volcano dome” plexi (top left), the non-engraved caseback (top right), the typical 3646 / Type D cushion shaped case with short looped lugs (low left) and a close look at the sewn-in buckle (low right). For further info on the different shape of soldered lugs on Ref. 3646 watches, you can see comparing photos on page 769 in chapter VIII.I of our book “History2”. Sotheby’s has a Ref. 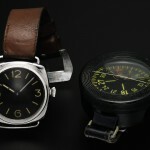 3646 / Type D “Kampfschwimmer” watch in their upcoming Important Watches auction in Geneva, november 12th (LOT 293). 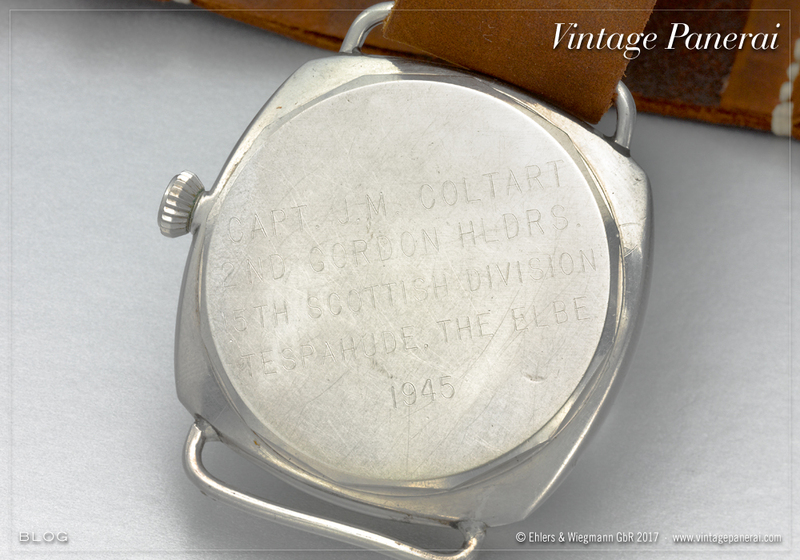 This watch is one of the lowest case numbers known today in the number group of Ref. 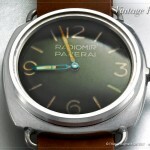 3646 / Type D. It is accompanied with a compass and comes with its original domed plexiglass. 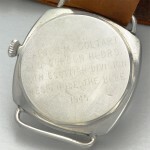 The tongue part of the leather strap is missing, while the buckle part is still present. 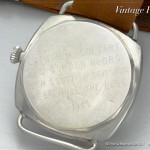 The inner caseback engravings, in combination with the Rolex Cal. 618 / Type 1 movement, are matching our database criteria (see photo below).